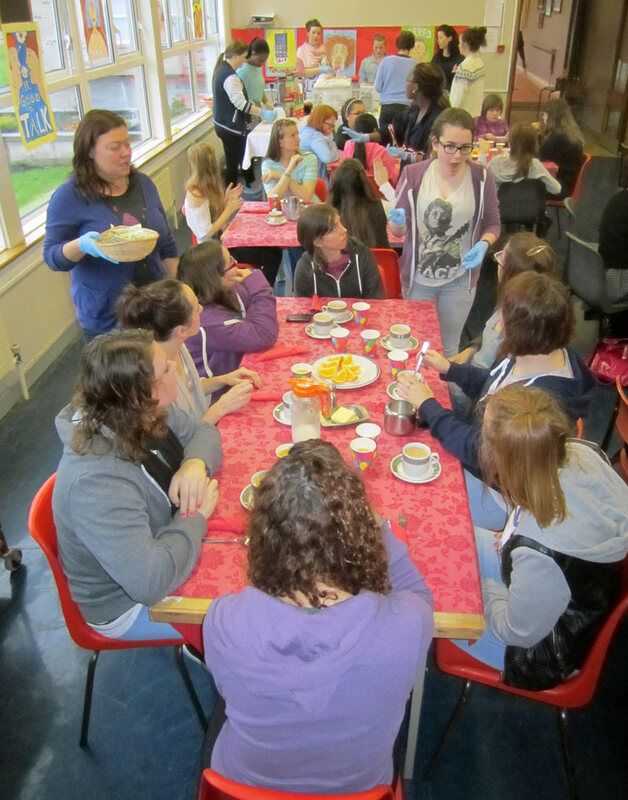 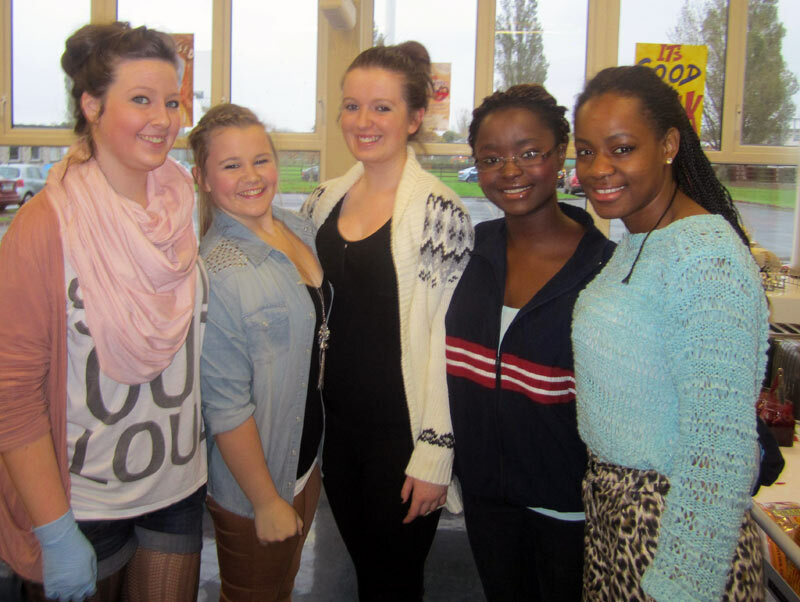 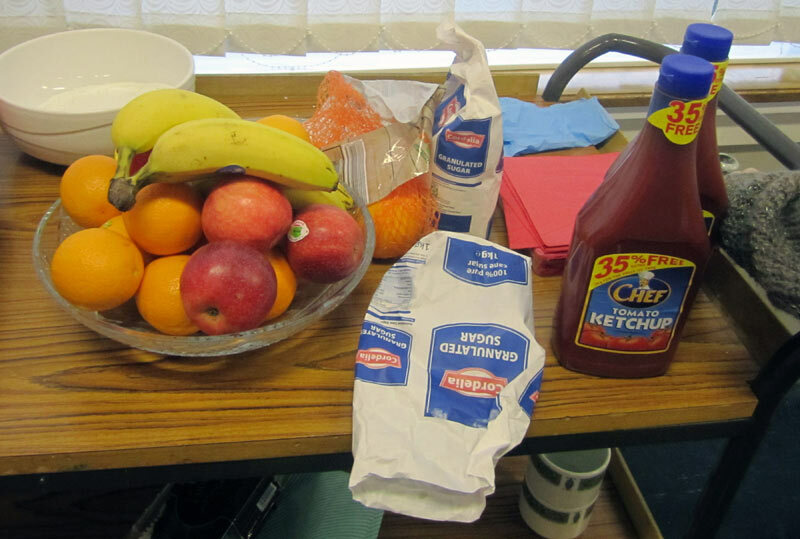 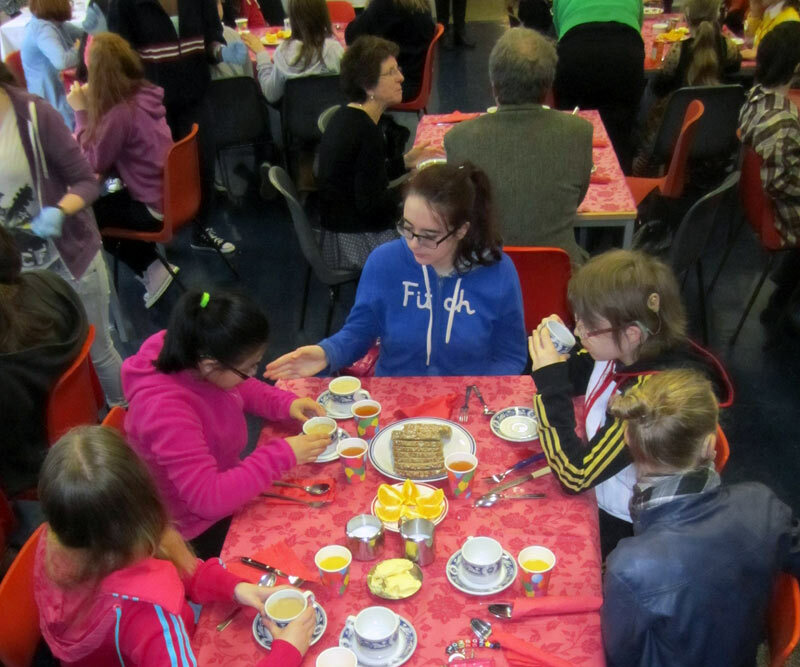 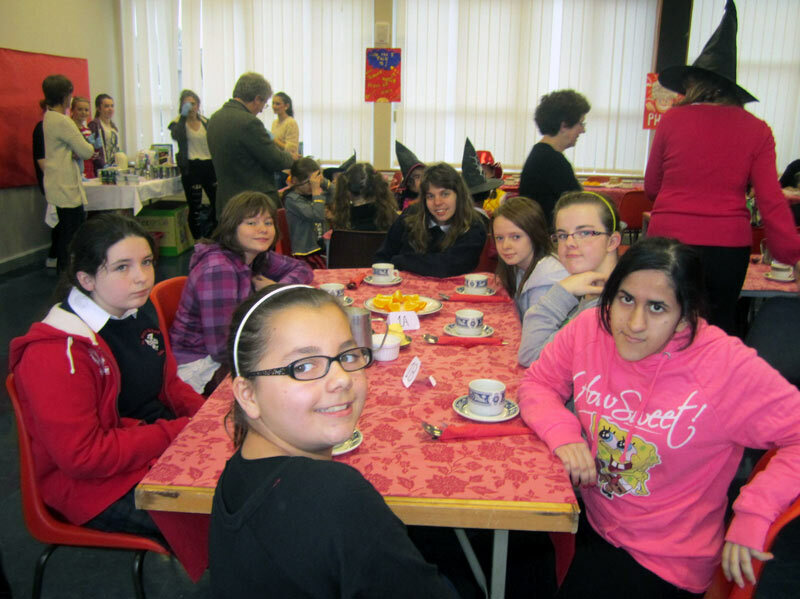 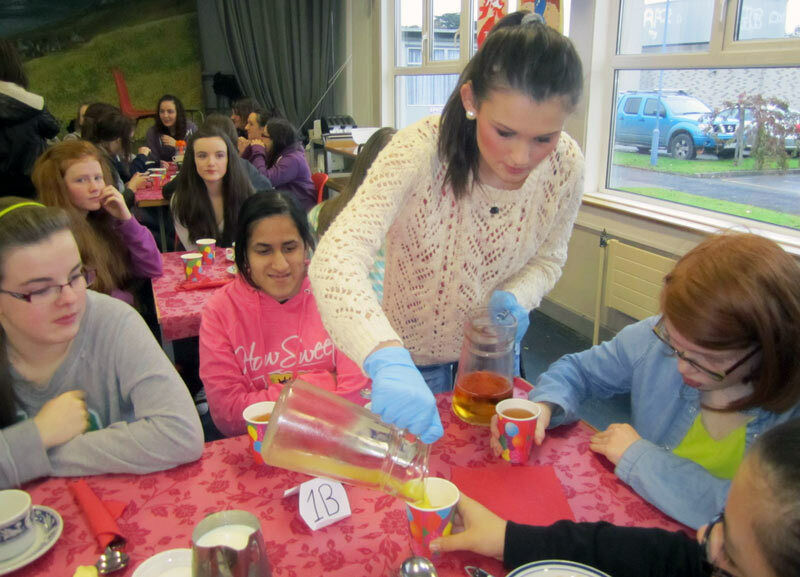 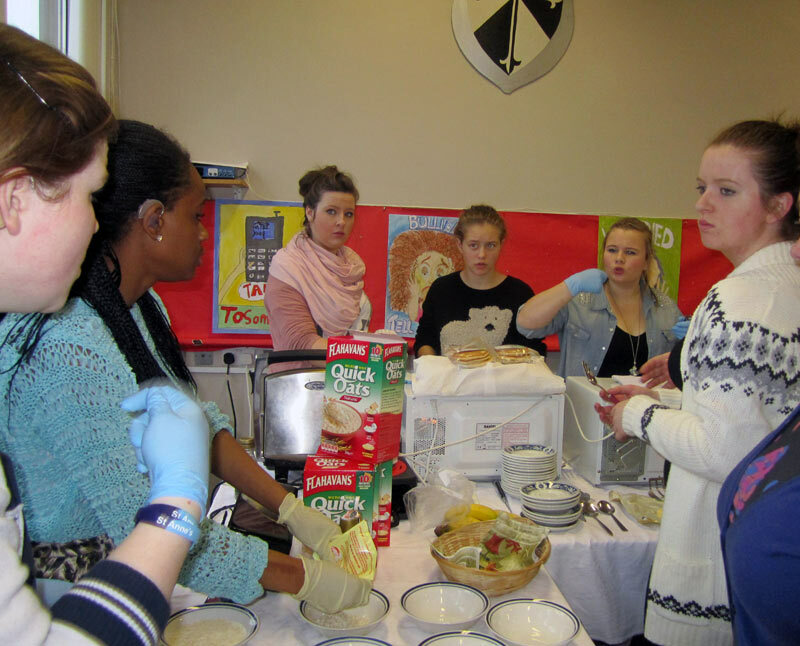 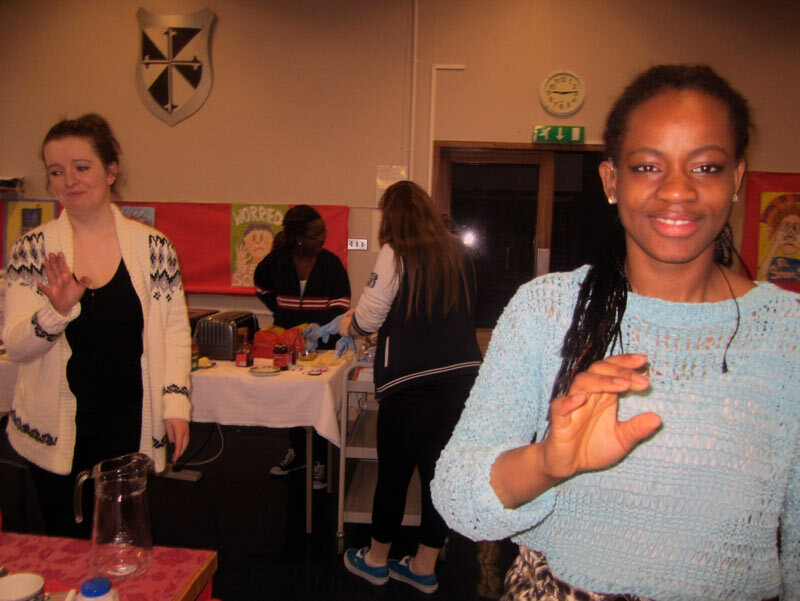 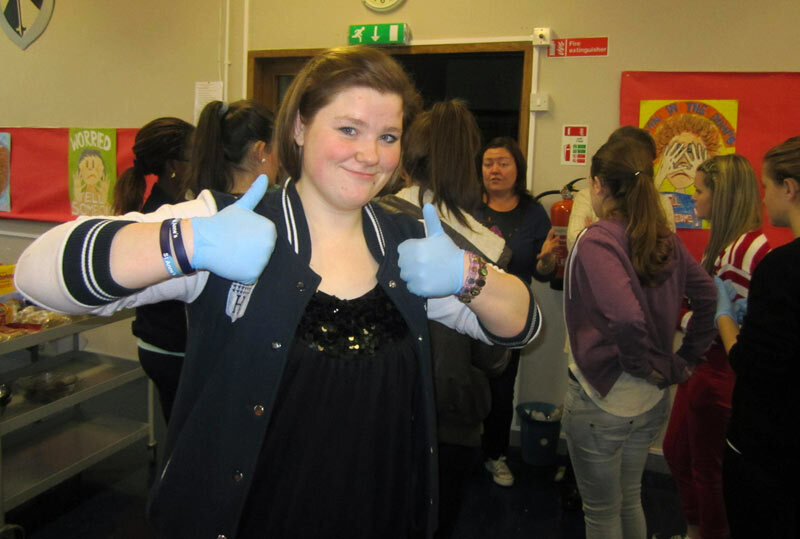 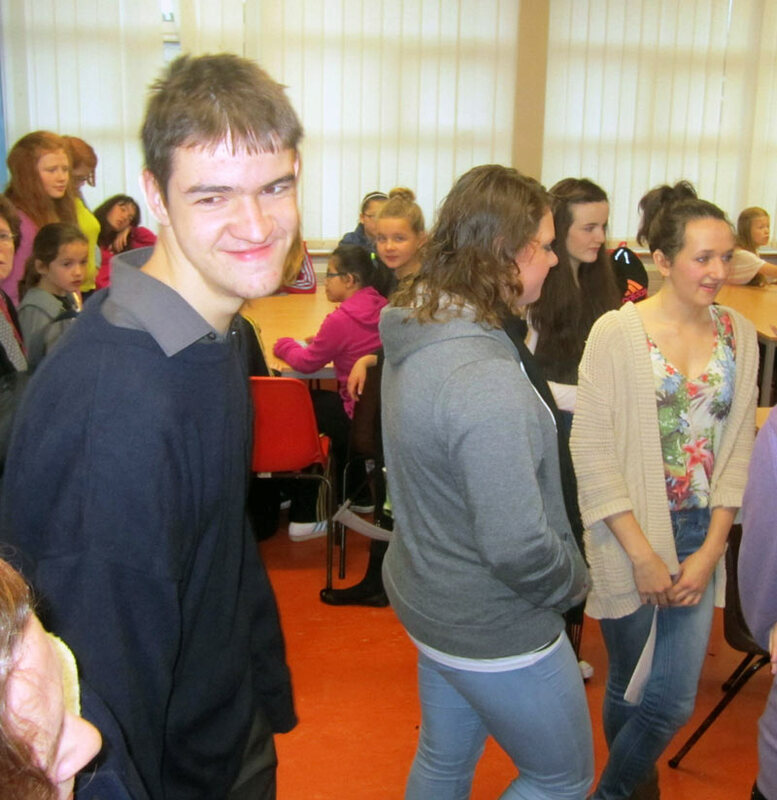 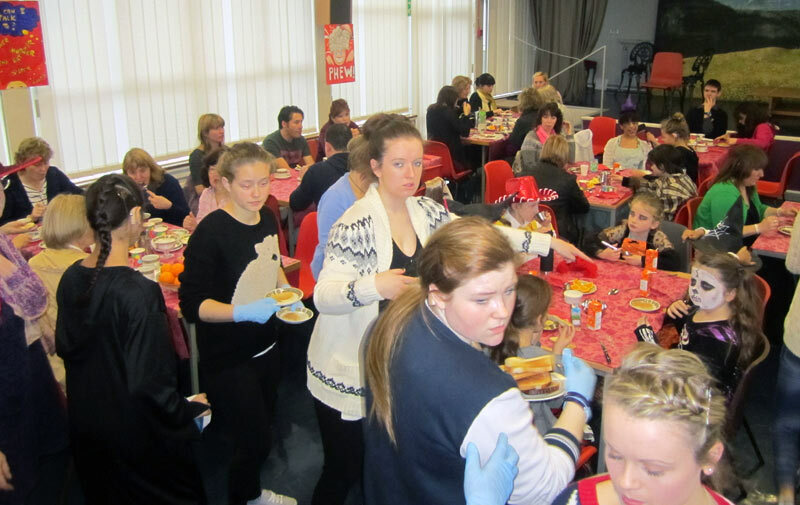 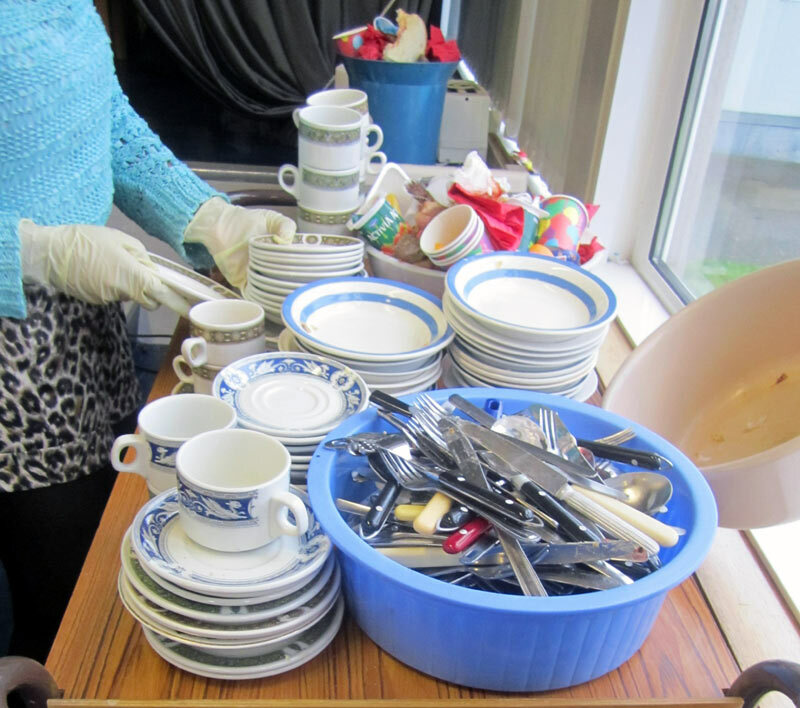 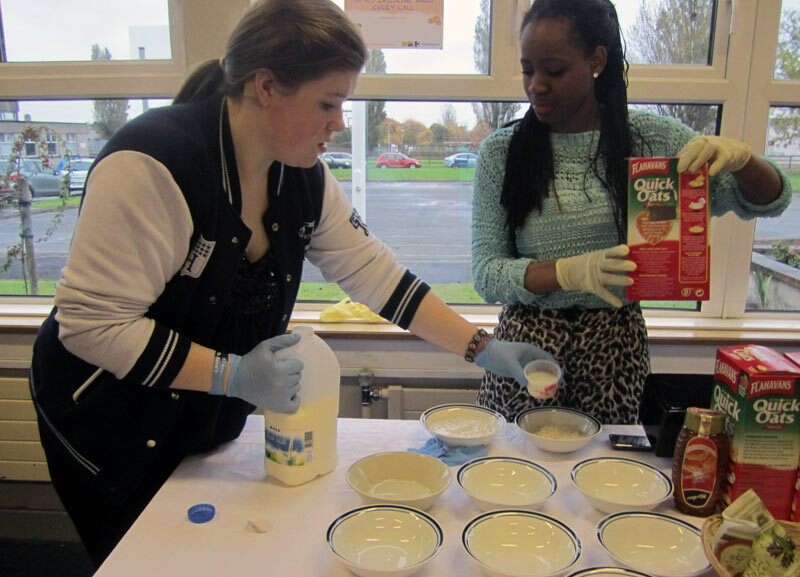 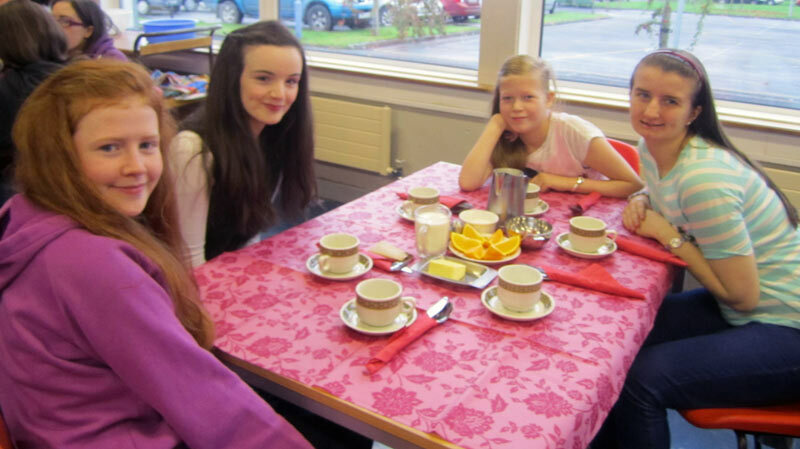 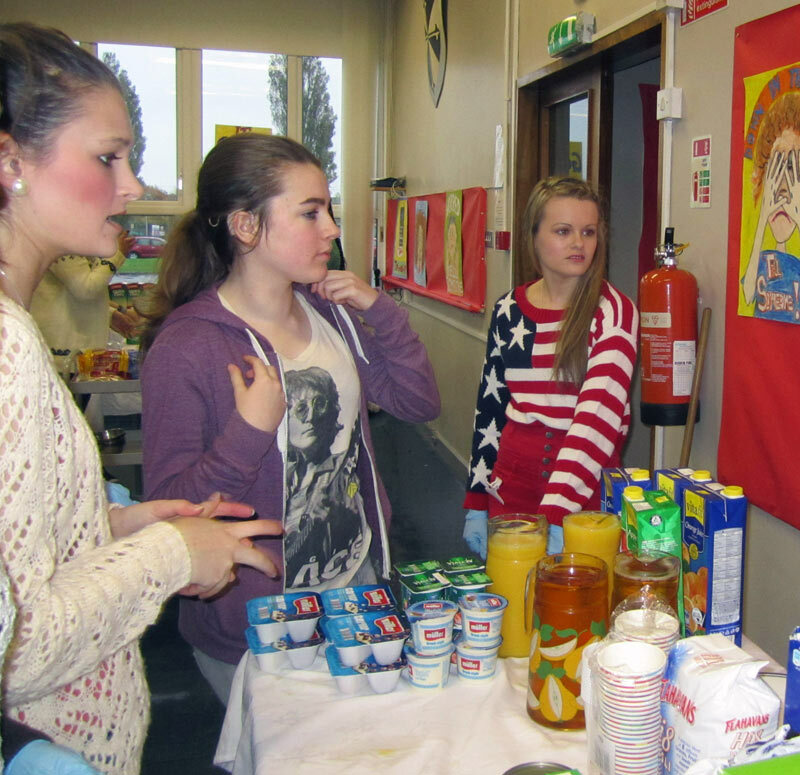 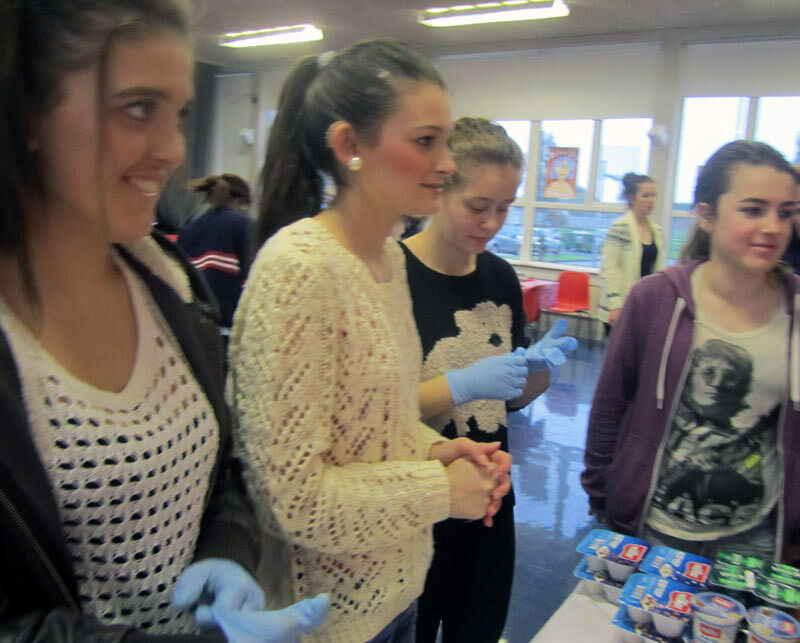 On Thursday, the 4th year girls organised a breakfast in aid of Childline. 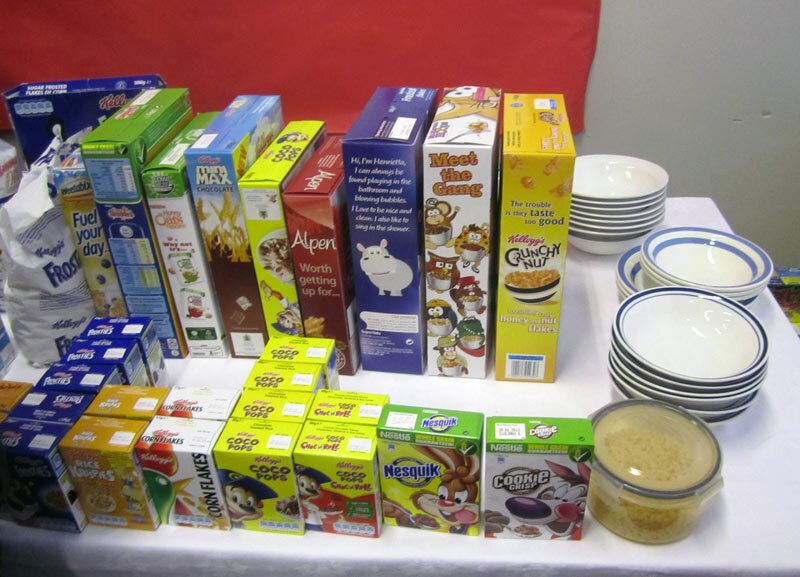 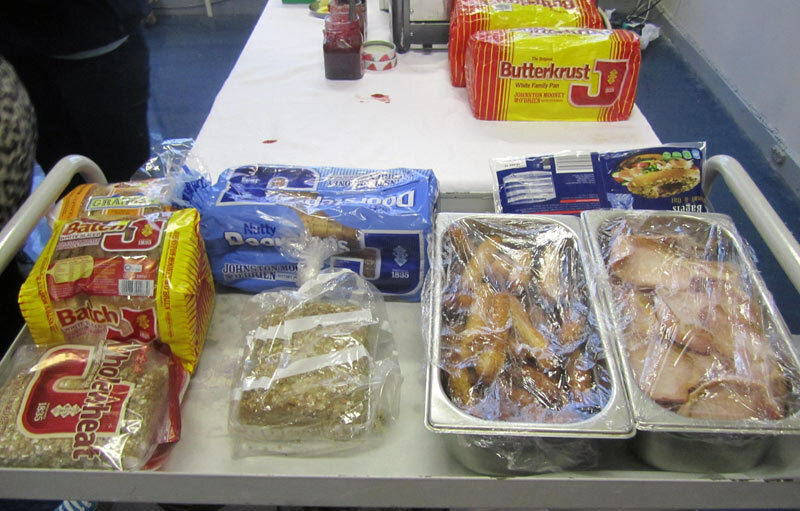 Lots of students and staff brought in donations of cereals, juices, croissants and other breakfast items. 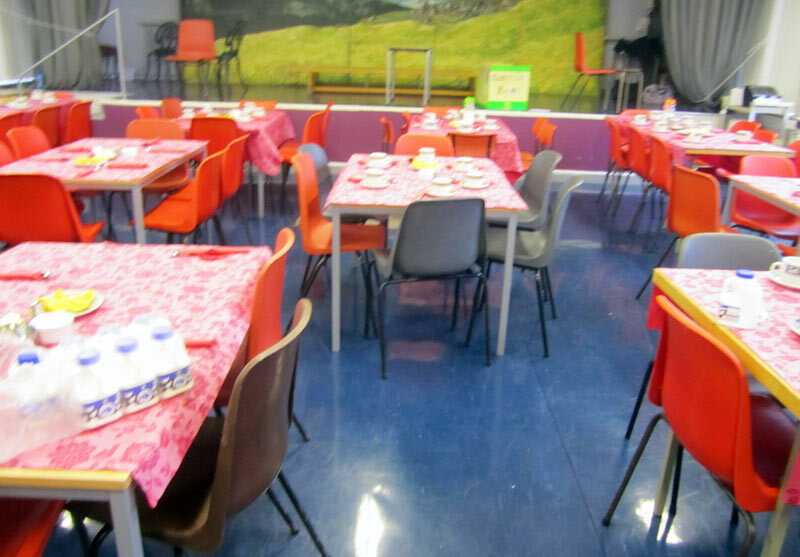 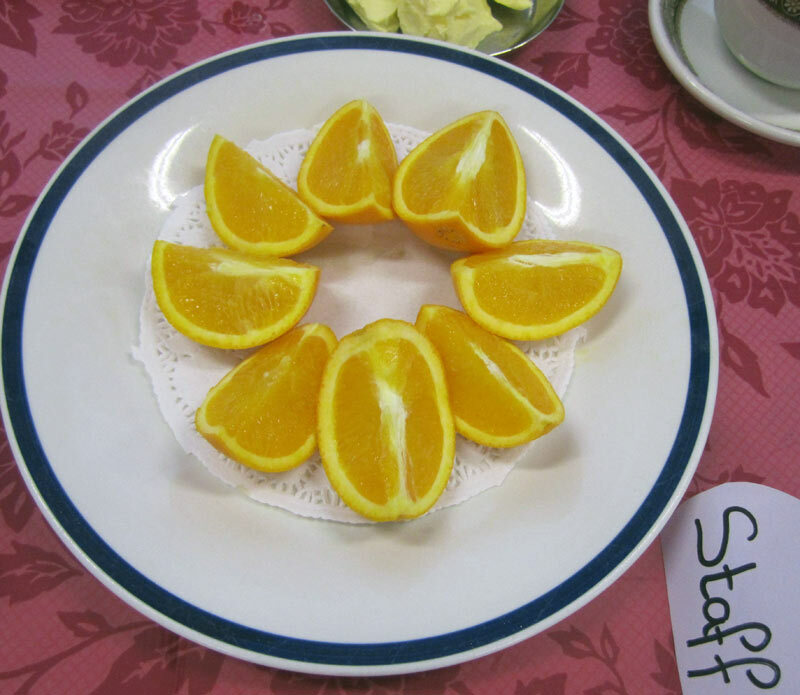 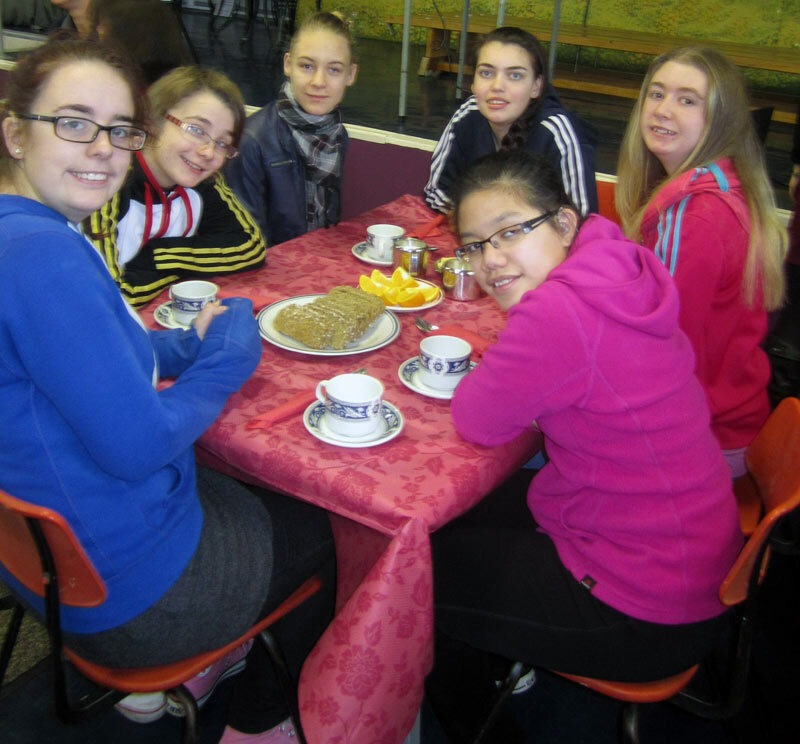 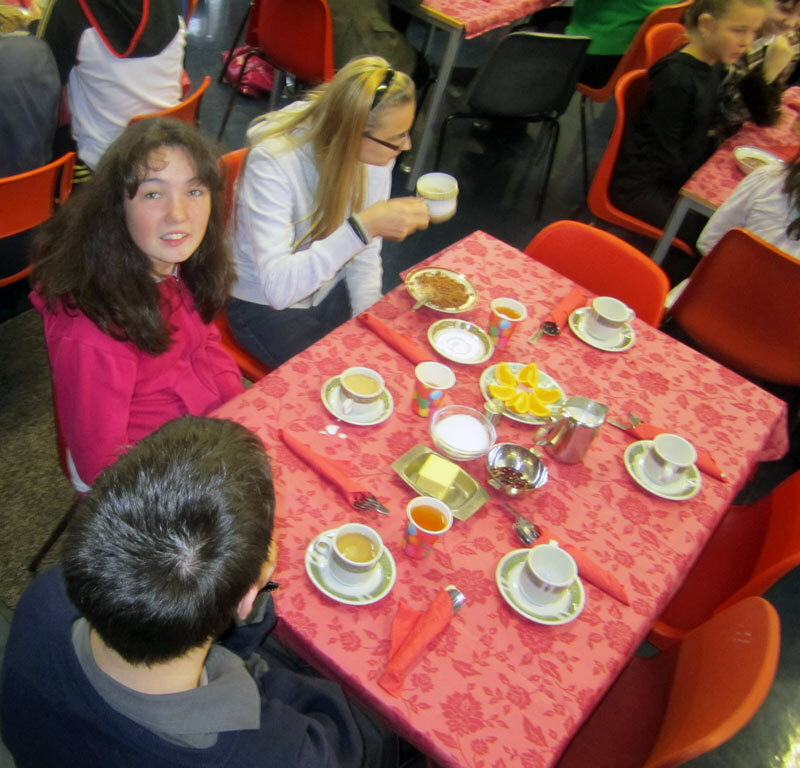 Then everyone paid €2 and were served a lovely breakfast in the Playhall. 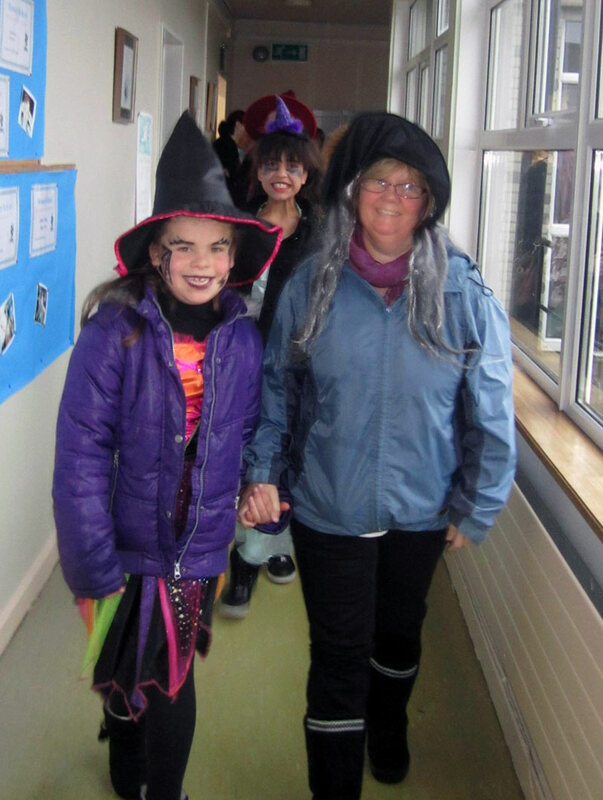 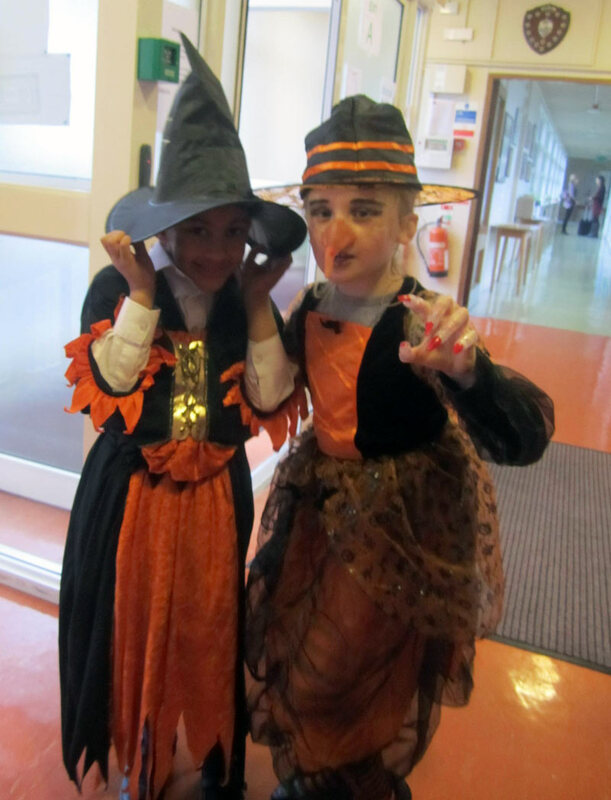 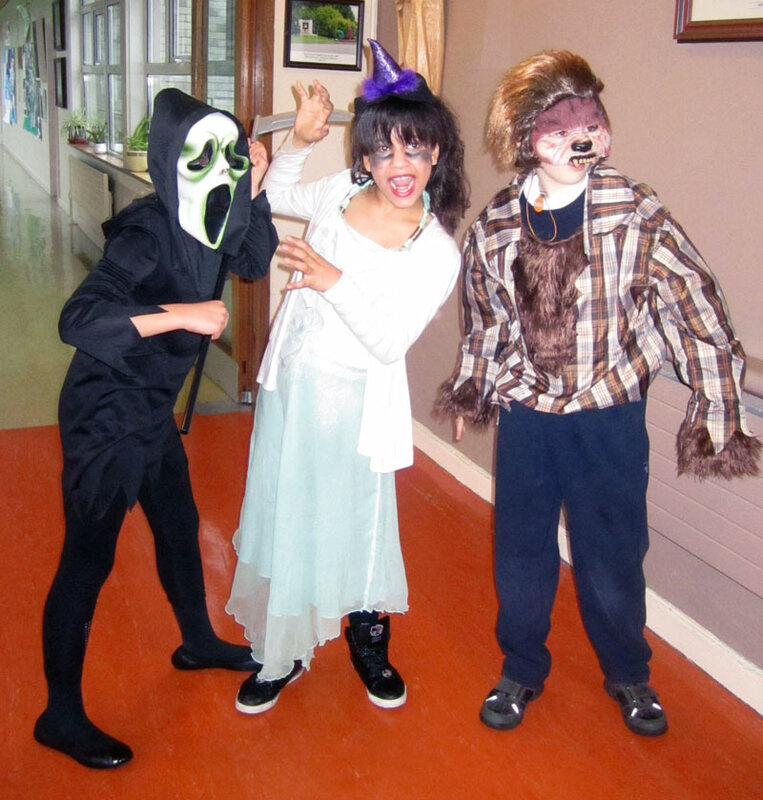 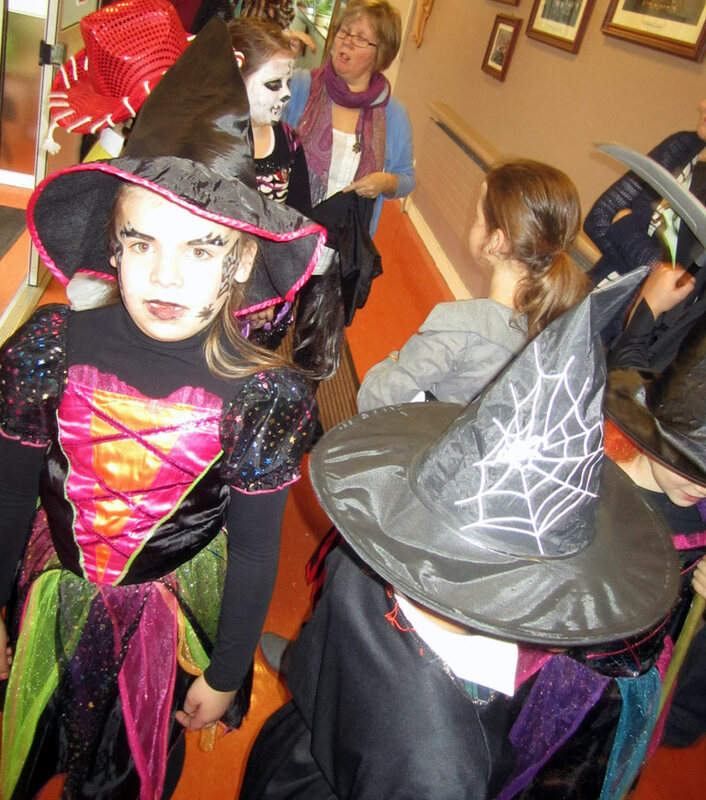 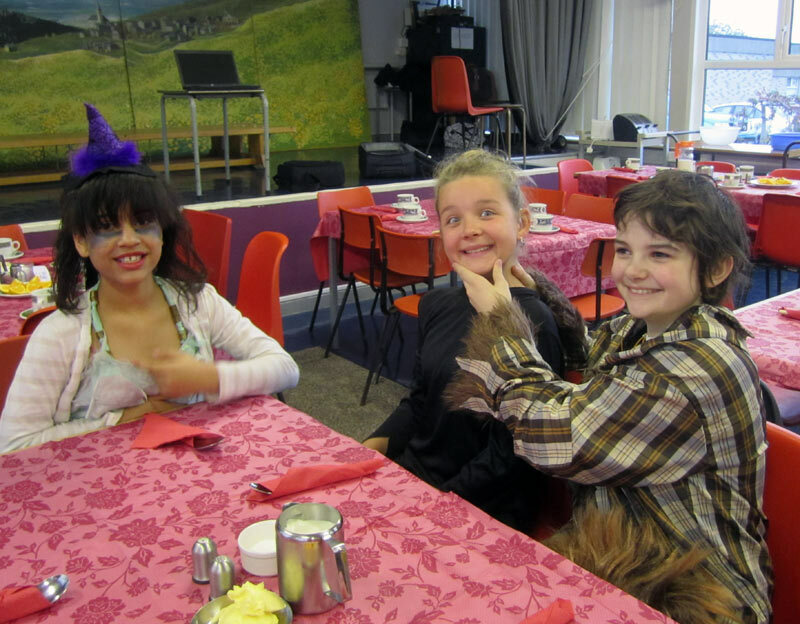 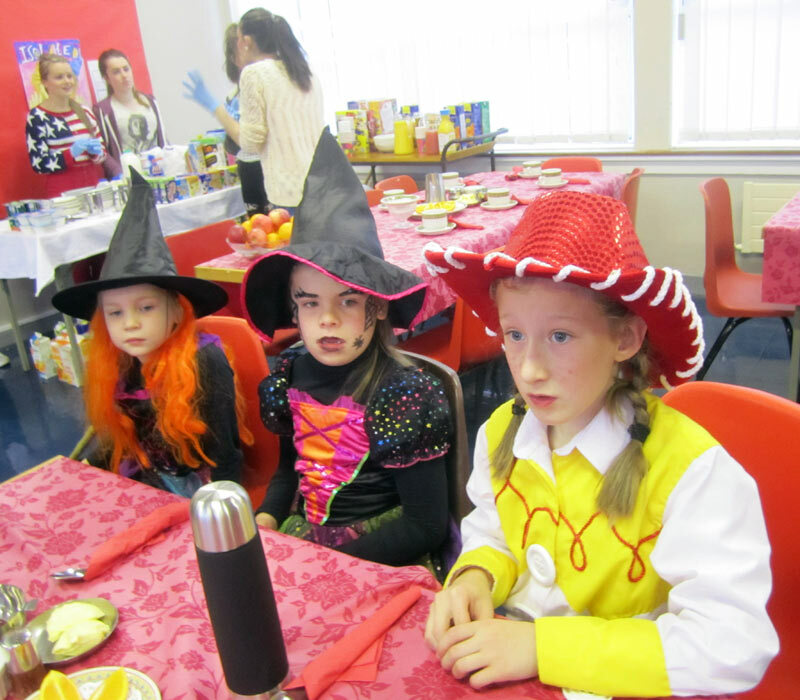 Girls from Marian School dressed up for Hallowe'en, and girls from Rosary School wore their own clothes. 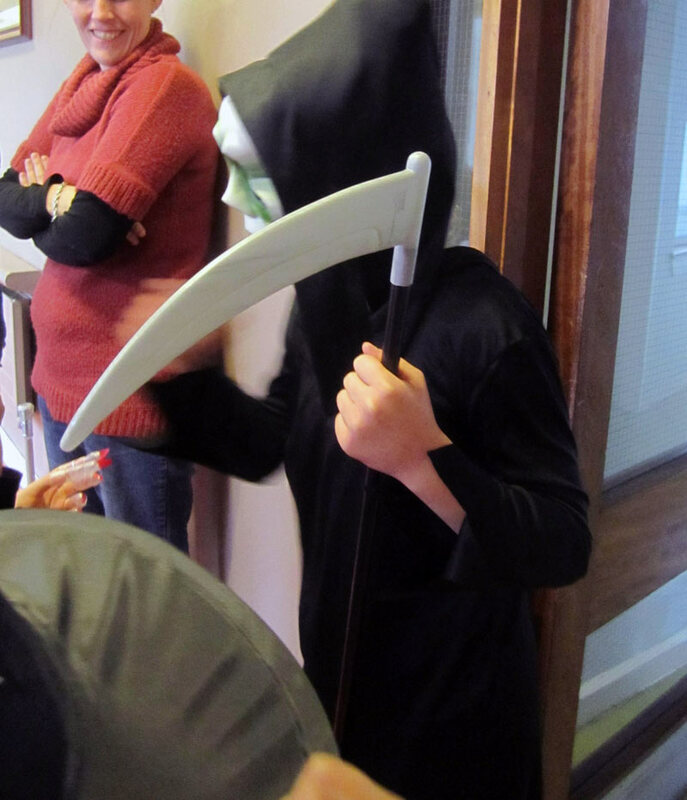 It was great fun and raised lots of money so that Childline can answer more calls from children. 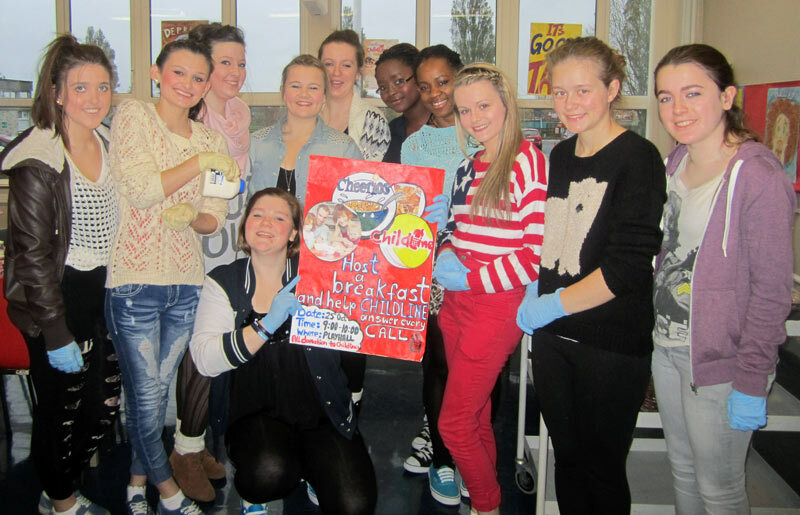 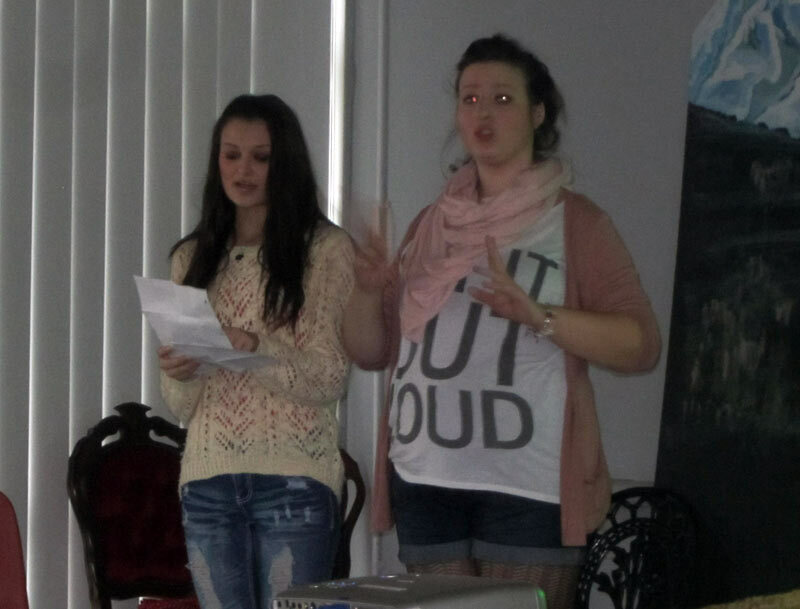 Well done to the girls of 4th year; you did us all proud! 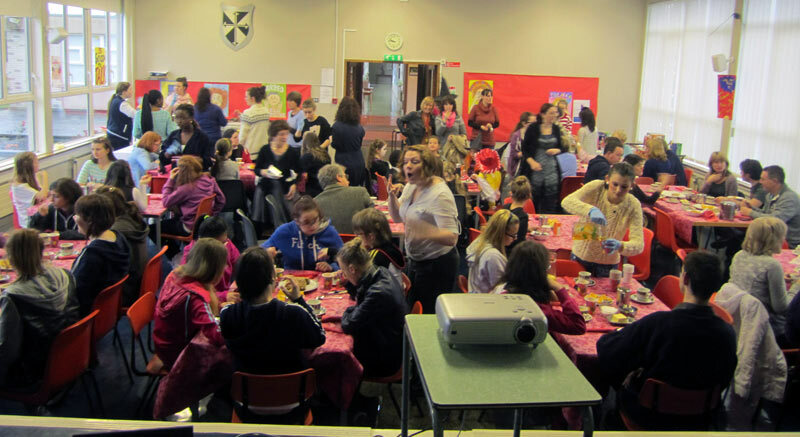 With thanks to Kathleen O'Brien for the photos.